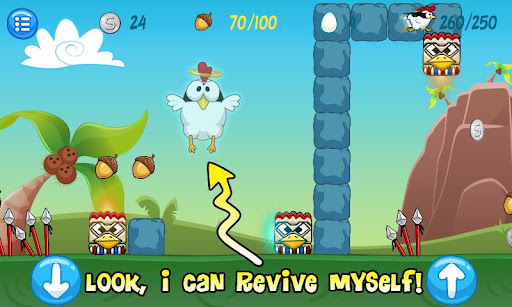 Check out what this chicken is up to and get into the jungly Ooga Booga mood!!! This time around he will be facing new adventures in the rough jungle. But look out – his old nemesis a.k.a The Evil Dog didn’t stay in the farm either. 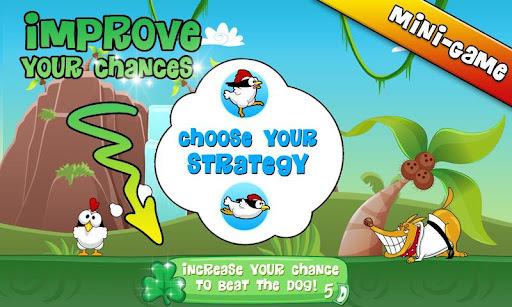 Help our poor chicken dodge vicious tribal dogs, tangling trees, dangerous spears and special teleporting stones! Check it out! You won’t be able to put this game down!